San Diego Disability Discrimination Lawyer | San Diego Sexual Harassment Attorneys, Sexual Harassment Lawyers in San Diego, CA. Looking For A Top Disability Discrimination Attorneys in San Diego, CA? 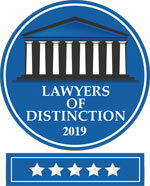 If you are looking for the best San Diego Disability Discrimination Lawyer, your search is over. Historically society has tended to isolate and segregate individuals with disabilities, and despite some improvements, such forms of discrimination against individuals with disabilities continue to be a serious and pervasive social problem. Often times, disabled individuals lose a sense of self worth, especially when he or she loses a job because of that disability. “Reasonable accommodation” is is broadly defined to cover many different situations that can enable disabled employee to continue employment. For instance, an employer must modify a job by changing the job description if it will allow the employee to perform the essential job duties, unless it is cost prohibitive. Further, to “reasonably accommodate” an employee can even mean transferring the disabled employee to an entirely new position within the employer’s organization where he or she can adequately perform his or her job duties. The “interactive process” is a fancy term that obligates an employer to work with a disabled employee to come up with a suitable solution to account for his or her disability. An employer who merely tells the injured employee to search for jobs online does not satisfy this obligation. If you feel you have been the victim of disability discrimination, please contact a top San Diego Disability Discrimination Lawyer today at Hogue & Belong Law.